Part of the Training Point Issues in Management series, video #4 is a must for sociologists and human resource management executives. Technological change in the work environment has radically altered how talent is defined. Human resource managers acknowledge that accelerated technological advances have also created an age segmented labor force like never before. As a result, demand for continuing education is at an all-time high. Older workers are seeking skills enhancement and certification for new technical knowledge sought outside the workplace. 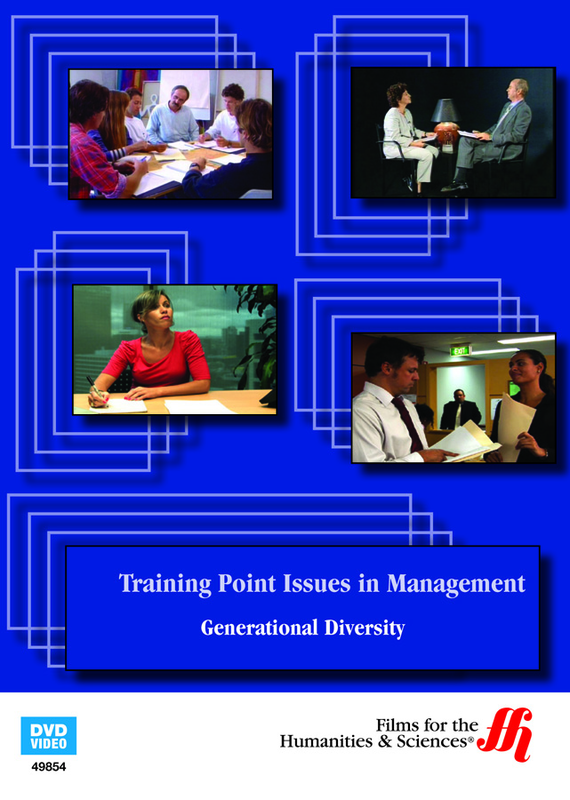 Generational Diversity: Training Point Issues in Management #4 (2009) looks at the definition of recruitment practices and candidate performance associated with the three main generations of professionals now forging relationships in the work environment. Baby boomers, Gen X, and Gen Y candidates now work together, benefitting companies and institutions, and at times generating conflict. Following research studies on the topic of generational diversity in the workplace, the program focuses on training models used to retain employees. Insightful information for organizational trainers, the film addresses how Baby boomers, Gen X, and Gen Y trainees differ in terms of skill sets, and learning styles. 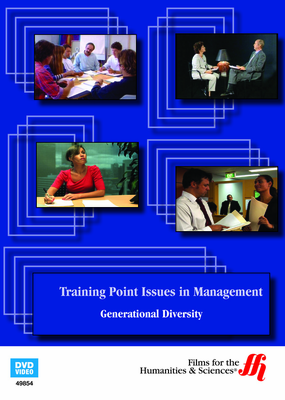 Strengths and weaknesses to each generation is discussed from the perspective of human resource managers. How valuable each generation of workers is to a particular work setting on a whole has much to do with recruitment, training, and retention approaches. Thought leadership and business intelligence coalesce with training ideals. Beneficial to human resource managers, business owners, and project managers accountable to cross-generational teams, the film shows how training strategies assist in binding individuals to groups in an age-diverse organization. Educational materials accompanying the video are available online.